White Cloud e-Cig used to be the most expensive ecig on the market. Their Cirrus line is definitely one of the most advanced ecigarettes out there. In order to make their premium e-cigs available to more smokers, the company permanently dropped their prices in February 2013. 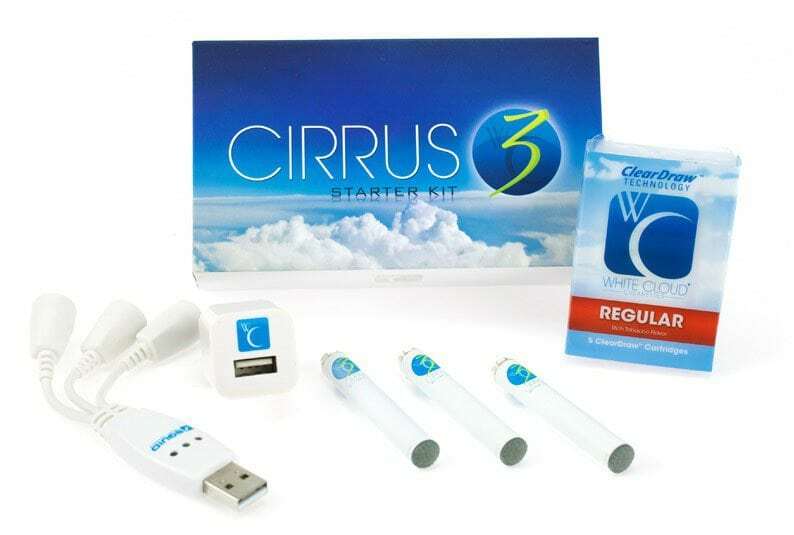 Originally sold at $150, the Cirrus II starter kit can now be purchased for less than $40. Disposable Flings are at $3.59 while SmoothDraw cartridges are as low as $1.99. WhiteCloud electronic cigarettes let you personalise your vaping experience as they offer a variety of battery sizes, cartridge flavors, nicotine levels, and jacket designs. Battery performance is excellent and the cartridges are long lasting. On a single charge the Cirrus 3X battery lasts more than 18 hours, with an average of 600 puffs per cartridge. 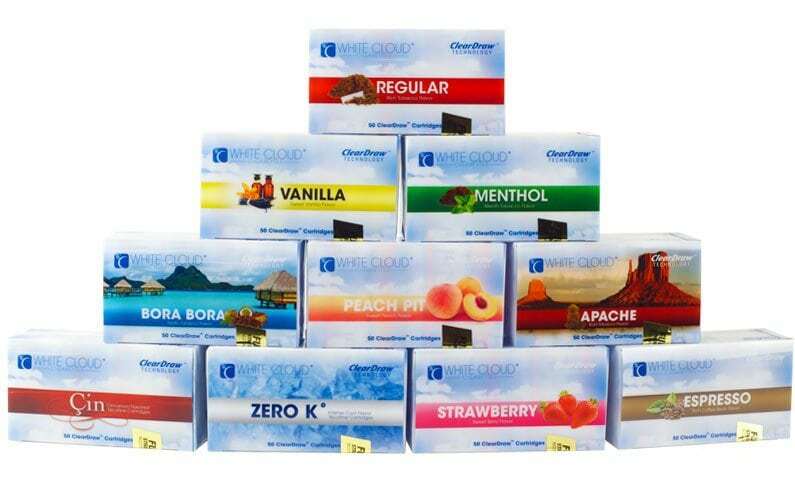 WhiteCloud e-gics takes great care to ensure that the draw, heat and weight of the vapor created by its ecigs are as close as possible to the smoke created by burning tobacco. Its ClearDraw technology brings consistency to flavour just like in a natural smoking experience. Each WhiteCloud E cigarette cartridge is equivalent to two packs of traditional cigarettes, which is double than the industry average. With six nicotine levels to choose from, including Double Extra strength that contains 5.4% nicotine, White Cloud is the only brand that can deliver the nicotine kick that heavy hitters crave. WhiteCloud has been featured on Forbes, Better Living, BarBiz Magazine, and Tampa Bay Business Journal. The brand also received the Gold Award from TopTenReviews.com in 2013.